Turnovers. Turnovers, turnovers, turnovers. In a game filled with an abundance of turnovers from both teams, it was the unforced errors committed by the host Flatbush Falcons that ultimately resulted in a hard-fought loss Tuesday night in Brooklyn where the Falcons fell to the North Shore Stars, 51-45. Four turnovers to be exact, in the estimation of Flatbush Head Coach Avi Borenstein, were at the heart of the tough loss. Which turnovers? Pick any four turnovers at any point in the game. If the Falcons could have converted any four into points instead of empty possessions, the outcome could have – if not would have – been different. Making their second start in a row, the Falcons took an early lead behind a pair of baskets from the duo of Joey Dweck and Buddy Setton. Defense was then the order of the day, as both teams displayed tenacious defense keeping the score low and close throughout the first period. However, with less than one minute to play in the initial stanza, Flatbush committed a run of costly turnovers that the Stars converted into easy baskets giving North Shore a small separation from the home team in taking a 6-point lead at the first break. It was a lead the Falcons would close in on a number of occasions the rest of the way, but one the Stars would never relinquish. The remainder of the game saw the defenses dominate at both ends. North Shore was clearly flustered by relentless backcourt coverage of their guards, and by the dominant play under the boards from Flatbush’s front line defenders. Mayer Khamkatchi, Victor Silverman and Shawn Blinder all made significant contributions at both ends, closing out the North Shore post players on defense, and each adding to the scoring balance on the offensive end. But Flatbush demonstrated equal difficulty with the North Shore defense. The energy was high, but the control was lacking. Bringing intensity at both ends of the court, Seniors Nathan Haddad and Buddy Setton would bring the Falcons close (they led a balanced Falcon scoring attack with 10 points apiece), but each time the team had a chance to tie or take the lead, the team would make an errant pass or step out of bounds or commit an offensive foul or travel with the ball or stay in the lane too long - in other words, turnovers! With under two minutes to play, North Shore managed to extend the lead to an apparently insurmountable 9 points, but true to its never-say-die fashion, the Falcons just would not go away. Forcing turnovers of their own and with North Shore cooperating by missing free throws, the Falcons managed to close to within three points with possession of the ball, but an errant shot at the :22 second mark gave the ball back to the Stars, and the Falcons never got closer. After the game, visiting head coach Elliot Steinmetz was notably impressed, commenting that Flatbush “played harder than anyone [North Shore] played so far,” and that includes the likes of Yeshiva University of Los Angeles, who defeated North Shore in the finals of the Cooper Invitational Tier I Championships. In the end, North Shore proved to be every bit the top-level Yeshiva League opponent they came in as advertised. But, teams of the MYHSAL take notice. As evidenced Tuesday night, the Flatbush Falcons are right on the cusp of that group, and there is much season left to play. Joey Dayon was held to 3 points, his lowest scoring output of the season (he is averaging 16 points per game). After a short Chanukah and Thanksgiving break, the Varsity Boys are back in action on Tuesday night, 12/3, against YDE at the Sephardic Center. Tip-off is slated for 7:00 pm. The JV Boys hoopsters take center stage as they prepare to host teams from Detriot, MI, Memphis, TN and Livingston, NJ in the 18th Annual Hausdorff Tournament and Shabbaton, starting on Thursday, December 5 and running through Sunday, December 8. 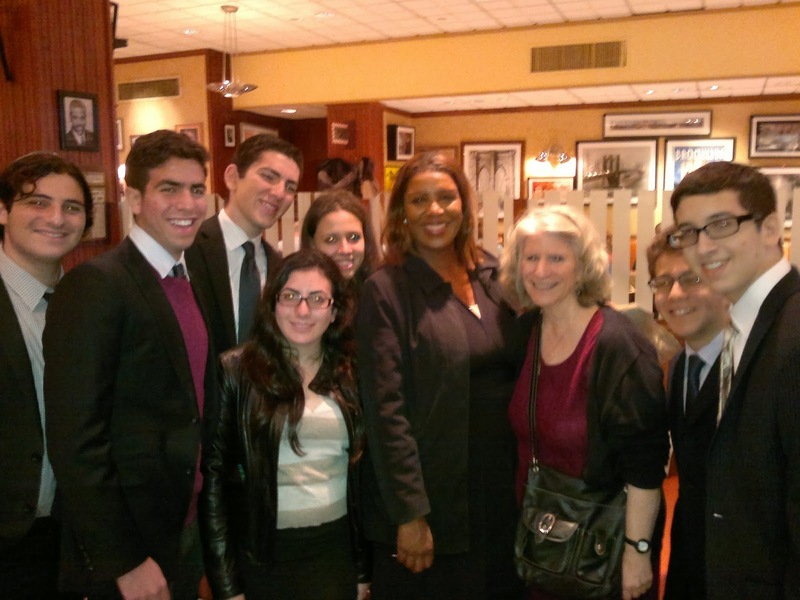 Two teams of students representing the Yeshivah of Flatbush recently won highest honors in this year's WordWright Challenge, a national competition for high school students requiring close reading and analysis of many different kinds of prose and poetry. Participating with 596 school teams from all across the country, the school's ninth graders tied for eleventh place in the nation in the year's first meet, held in October. At the same time, the school's eleventh graders tied for fifteenth place in the nation. The Flatbush Falcons returned to their winning ways with two stunning comebacks bookending the week. That was what the scoreboard showed at the end of the 1st quarter of the Varsity Girls Basketball game against the visiting Central Wildcats on Monday, November 18. Then someone woke the sleeping lion – er, Falcon! Over the next three quarters, the Flatbush girls outhustled, outgunned and outscored their Central guests by 24 points to win going away 41-28. For one quarter, it was as if there was a lid on the basket. Anything Flatbush put up towards the basket just bounced off, rolled around or just plain missed the rim. To make matters worse, when they weren’t missing shots the offense did a poor job of protecting the ball, creating turnovers that led to easy lay-ups for the Wildcats. But right from the start of the second quarter, it was clear something was different. Guards Victoria Gindi and Rachel Linfield settled the offense down and the team began moving the ball more crisply on offense, working for good shots. And, Center Merle Cohen began to dominate inside on both ends, finally converting on an inside basket on offense and controlling the lane on defense by both altering shots and grabbing any rebound that came near her. Cohen’s defensive presence balanced by strong rebounding from Robyn Dweck, sparked numerous fast break opportunities that led to Jen Maleh conversions on the other end. The hard work and concerted effort allowed the Falcons to draw even at halftime and then sprint past Central from the get go of the third quarter. The comeback was complete with the return of offensive spark Rose Mishaan (who missed the first 3 quarters due to a performance conflict) who added a dramatic floating drive, helping seal the comeback victory. Before the Varsity dramatics, the JV’s had their turn with their Central opponents. The game started off slowly for both squads, with neither team able to establish a steady rhythm or build a lead. 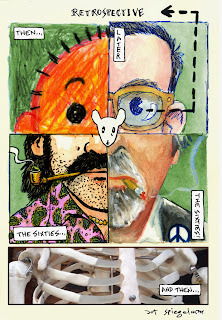 Then Sarah Horowitz took over. Demonstrating why she could well be considered a point forward (much like the famous LA Laker Magic Johnson), Horowitz was taking care of business at both ends, playing tenacious defense, grabbing rebounds, leading the fast break, and either converting baskets or drawing fouls on the offensive end. With sound overall team defense and more ball control on offense under the steady ball control of guards Sylvia Franco and Sarah Linfield, the Falcon JV’s slowly built a lead they would never relinquish, closing out the victory by a final score of 38-24. Closing out the week, the Boys Varsity Hockey team looked to put the previous two clunkers in the rear view mirror. With another Long Island opponent on the slate, the team hoped to do just that. The first period was a see-saw battle that ended as it started, a 0-0 score, and that looked like the early rounds of a prize fight where the boxers seem to dance around the ring sizing each other up. That would change as the Falcons struck early in the second period on a solo blast from the stick of Senior Co-Captain Moe Maleh to take a 1-0 lead. As quickly as thinks were looking up, they turned right around as the Falcons yielded the next two goals in succession to the Stars from North Shore. To make matters worse, the team played as if stuck in quicksand, getting late to the ball or standing around watching the game go by. Nevertheless, the team netted the equalizer at 2-2 behind a strong play from the Falcons first line offense. But, just as quickly as the game was tied, the Falcons were down again as a weak roller found its way under the leg pads of Goalie Stephen Esses. The 2nd period ended with the Falcons trailing 3-2 and looking hard for answers. The team that took the floor in Gold for period 3 looked like a different team than the one that sloshed through the first two periods. Both the first and second lines applied pressure on offense and were quick to the puck on defense. Nevertheless, North Shore struck again early in the period, taking what then appeared to be an insurmountable 2 goal lead. But rather than fold, the Falcons continued their spirited attack led by the inspired play of Co-Captain Morris Bijou, peppering the Stars goalie with shot after shot. And when Sam Laniado broke through with the Falcons’ 3rd goal of the night off a feed from Bijou, you could feel the tide turning. On the defensive end, Stephen Esses stepped up his play in goal, turning away a number of hard slap shots. Offensively, the Falcon first line was not to be denied. They were relentless in chasing the puck, in blocking North Shore’s clearing efforts and continuing to keep putting the puck on net. When the team broke through for goal number four, there was a buzz in the gallery of fans. The equalizer again came off the stick of Laniado, who went top shelf to beat the Stars goaltender. With fans hanging over the balcony railing, urging on the home team, the energy in the arena was electric! Yet there was one more scare the home faithful would endure. With the clock under 4 minutes, Flatbush could just not clear the puck from the defensive zone, and the Stars managed to send a deflection towards the net that got behind Goalie Esses. As if in slow motion, the ball rolled into the crease, nearing the goal line. But with the help of defender Marc Barsano who sprinted in behind Esses, the Falcons covered the puck mere millimeters before it crossed the goal line, preserving the 4-4 tie. From here, the Falcons were not to be denied. After dumping the puck into the offensive zone, Bijou chased it into the corner, working it out and feeding a flashing Laniado in front of the net. Laniado let fly with a rising shot that found the top right corner of the net giving the Flacons the lead and netting Laniado a natural hat trick – the first of the Freshman’s young Varsity career! With under two minutes to play, the Falcons looked to the defense to protect the slim margin. 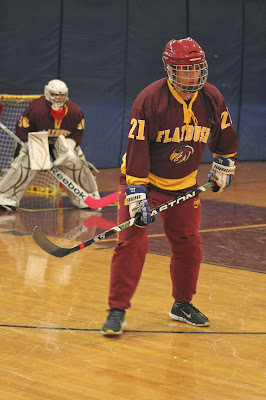 And, when North Shore pulled their goalie for an extra player, Michael Tawil intercepted an errant pass at mid-court and sent the puck into the empty net, notching his first goal of the season and sealing the Falcon victory, 6-4, and sending the crowd home exceedingly proud of the Flacons’ effort. In addition to scoring the first goal, Moe Maleh added two assists from his key defensive position on the floor. Freshman Sam Laniado registered his first career hat trick as a Falcon. With his goal in the second period, Laniado tallied 4 goals on the night. Morris Bijou had 4 assists, setting up each one of Laniado’s goals. The JV Girls Basketball team was led in scoring by Sarah Horowitz, who scored a team high 16 points. Samantha Chabot added 8 points of her own. The Varsity Girls Basketball team was led by Jen Maleh who led the team with a career high 17 points. Robyn Dweck and Merle Cohen each scored 8 points in the victory. The Girls return to action on Monday night with a doubleheader at Ramaz in Manhattan. The Boys JV Hockey team also landed in the victory column behind a seven goal barrage to defeat Westchester Hebrew High School 7-1 on the road. Key scorers on the night for the JV Boys were Joseph Habert and Sam Beyda. 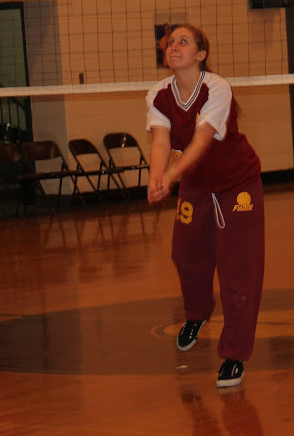 The Flatbush Middle School teams saw their first action of the fall season, with the 7th & 8th Grade Girls Basketball team completing a dramatic 4th quarter comeback from a 19-14 deficit to defeat The Brandeis School, 22-19; the Boys Hockey team played Magen David to a 1-1 tie. On November 8-10, the Juniors experienced the annual Yeshivah of Flatbush Junior Seminar. It was preceded by a moving and inspirational Chesed Day, when we were split up into different groups to go to a different place to perform acts of Chesed. The places included Ohel, Imagine Children's Center, and SBH. 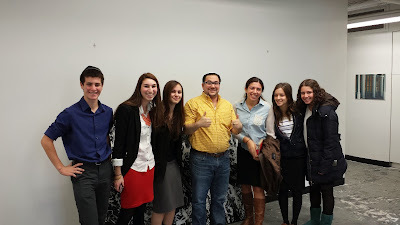 This, along with a motivational speech by "Mitzvah Man," got us all in the mode of Chesed, the theme of our seminar. 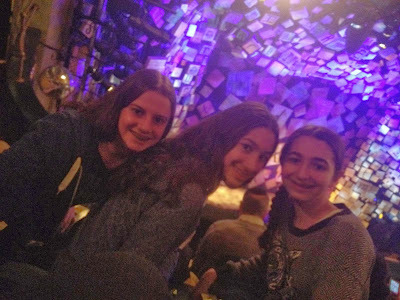 On Seminar we were joined by some members from the Special Children's Center as well as families from the Yeshivah of Flatbush Adult Chesed Mission for the whole weekend, which had surely enhanced our experience. Seminar started off with a short program about technology and how it affects us and our relationships today. Friday night circle time included tons of singing and interesting divrei-Torah. We also had a moving session about relationships with other people and with G-d. The theme of the late-night "tish" was inspirational stories. After many stories, candy, and of course cholent, tears were shed from our emotionally-moved students. Shabbat day was filled with food, prayer, singing, and a session of our choice dealing with 'soul traits'. Shabbat ended with a very meaningful Havdallah service and rikkudim. After Shabbat was over, we played a very exciting game called "Junior Jackpot," which included trivia questions about Avenue J, Flatbush, and even required us to taste jelly beans and identify their flavors! Each lucky player on the winning team received a gift card to Oh Nuts. The night then continued with more dancing and a surprise visit by a recently married couple of Flatbush graduates! We ended the night with a meaningful presentation and a powerful kumzitz. Seminar ended on Sunday with even more dancing, singing and finally a slideshow recapping the previous couple of days. Our seminar, as all Flatbush seminars do, inspired us to do more Chesed, think strongly about our future, and how to become a better person overall. 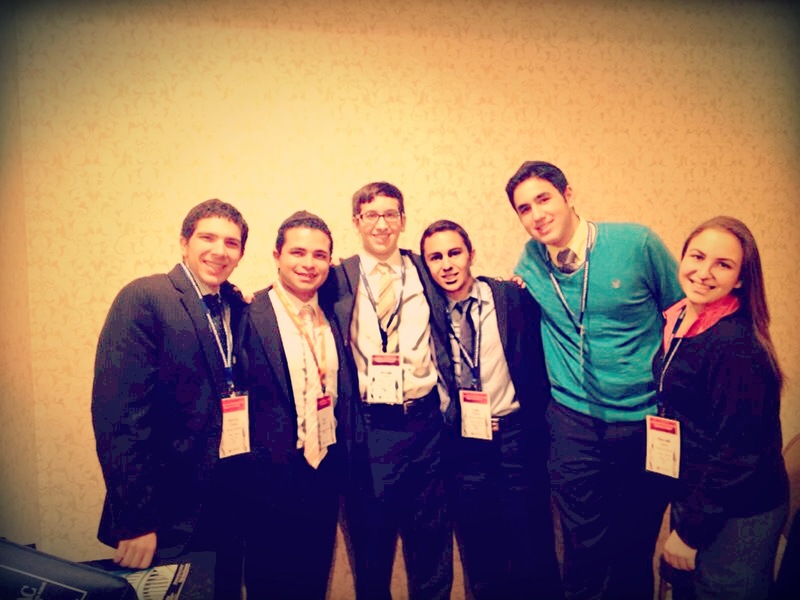 We can't wait for next year's seminar...Senior Seminar 2014! Last Thursday, our Senior boys had the opportunity to meet with and speak to representatives from various Israeli Yeshivot and Israel programs to help them decide on their plans for after high school. Many Yeshivah of Flatbush alumni who spent a year studying in Israel after they graduated high school also joined this program to share their experiences with our students. This program was informative and helpful for our students in guiding them to make the best decision in regards to their future plans. 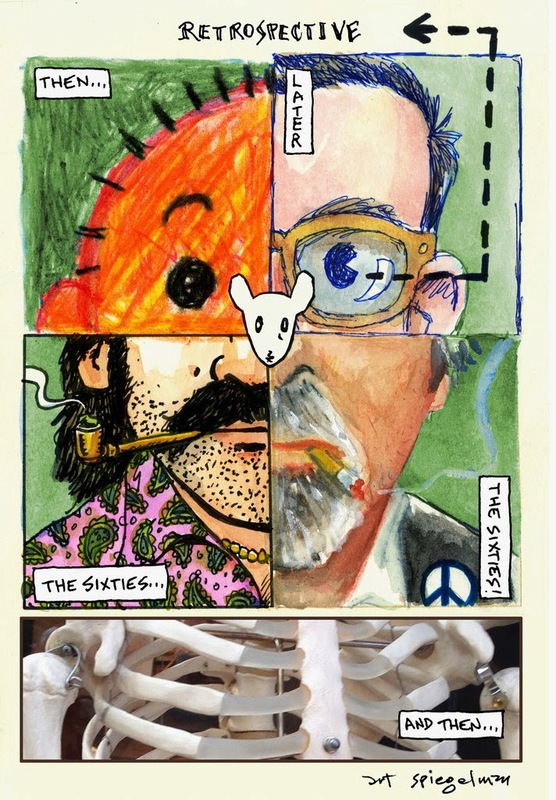 A self-portrait drawn for The New York Times by the comics artist Art Spiegelman, who is the subject of a retrospective at the Jewish Museum in Manhattan. Maybe you have heard the saying that losing builds character, that losing makes you a better player. Losing does not build character. Then again, neither does winning build character. Building character is a result of what we do, how we conduct ourselves in a given situation. When faced with a challenge, do we rise up to the task and bring our “A” game, or do we shrink under the pressure of the situation; do we do everything possible in striving for a positive result even in the face of overwhelming odds; do we exhibit respect for our opponents, or do we rub our rivals noses in it when they are defeated? We hope that as a result of our experiences – both on and off the playing field – we develop “good” character. But there is no doubt that facing the challenge of competition, and coming up short on the scoring end creates settings ripe for the development of character. This past week has been one of opportunity for character development for the Flatbush Falcons, as Falcon teams across the fall sports landscape battled hard but came up on the short end. Boys Varsity and JV Hockey dropped their last decisions on the floor 7-0 to Kushner and 2-0 to Rambam respectively; Girls Basketball dropped both ends of a double-header by 7 to physical HAFTR squads; Girls Volleyball went on the road with both the JV and Varsity falling to SKA (JV lost by a score of 2-0 while the Varsity lost a heartbreaker 3 games to 2 after a valiant comeback to force a fifth and deciding game in which they fell just short of the upset, losing the decisive game by a score of 21-19); Boys Basketball fell to a powerful Heschel team, ranked 6th overall nationally, in the Varsity home opener in front of a raucous and intense crowd and in a game which came on the heels of the JV’s first loss of the season in an exhibition matchup with Heschel’s JV. But the scores only tell a part of the story – a very small part. Character is often defined as “the mental and moral qualities distinctive to an individual.” At times it can be hard to quantify what is “good character,” but there is no doubt that we can recognize it when we see it. And saw it, we did! Character is Danielle Shalam exhorting her teammates to victory after falling behind 2-1 on the road and ready to pack it in against a team that beat them soundly less than a week earlier. Character is Becky Waldman stepping up and putting Danielle Shalam’s words into action, rallying the team in a fifth game, nearly upsetting the host team. Character is Moshe Illouz standing on his proverbial goalie head turning away shot after shot peppered on him by the Rambam Ravens, only to have the game-winner squeak through the 5-hole. Character is also every one of his teammates who patted him on the back and made a point of noting his impressive performance, even though the team lost the game. Character is the play of the Varsity Girls Basketball team who, faced with the prospect of taking on HAFTR without leading scorer Lauren Berkowits (slightly torn ligament), had to then absorb the loss of point guard Victoria Gindi early in the first quarter (elbow to the forehead) and force players to take on new roles and step outside their comfort zone. And, they did not back down from the challenge. Character is that same Victoria Gindi stepping back on the court late in the fourth quarter (after showing the EMT she had no signs of concussion) to try to spark a comeback that fell short. Character is Morris Bijou pressing his coach to address the issues that contributed to a 7-0 pasting at the hands of Kushner’s Varsity Hockey team, not because he wanted to challenge him, but because he wanted to start immediately examining what went wrong so the team could get started on fixing things and getting back on track. Character is Moe Maleh, in the face of that same deficit, continually trying to get back on the floor because he believed that he could still bring his teammates back! Character is Michael Shalom, standing on the sidelines the entire first half of his fist home game of the season, charging every one of his bench-mates to be vocal, to encourage and support his teammates. Character is also Michael Shalom finally stepping off that bench late in the second half at guard for fellow co-captain Nathan Haddad, helping settle the offense and demonstrating how much he has learned from past experience in making good on-court decisions. Character is that same Nathan Haddad, replaced late in the game, showing as much effort and intensity in stoking his teammates on and the fans to get loud, to play hard, urging the team to victory. In each case, the Falcons did not win on this day, but the lessons learned - and the character demonstrated - will assuredly lead to success down the road. This is truly what interscholastic athletics is all about. GO FALCONS! Nest Notes: In a light week of action, Girls Basketball took on Central Monday, 11/18, at home; Varsity Hockey was also back in action on Monday, 11/19, at HAFTR and again on Thursday at home against North Shore; JV returns to the floor on Saturday night at Westchester. This week marks the start of the Middle School fall athletic schedule with the hockey team in action Tuesday hosting Magen David and the 7th & 8th grade girls basketball team welcoming The Brandeis School on Wednesday. 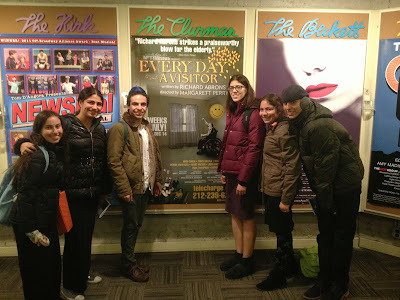 Members of our Traveling Troupe at "Every Day A Visitor"
Last Wednesday night, members of our Traveling Troupe attended an Off-Broadway performance of "Every Day A Visitor." The play is about a Jewish nursing home in the Bronx filled with hysterically bold yet somber elderly people who begin to play a game they called politics to entertain each other in their dull or unhealthy moments. 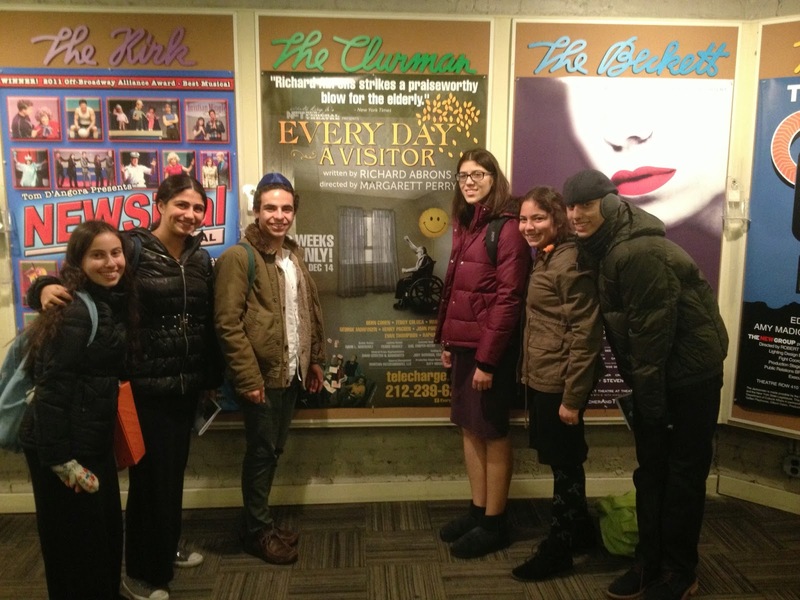 With the help of Mrs. Hannon and the Pathfinders Program the playwright, Richard Abrons, was informed of what the Yeshivah of Flatbush Traveling Troupe does on a weekly basis (performs at nursing homes) and generously granted free tickets for the students to the performance. The play was full of brilliant and intelligent humor, however the part that resonated the most with the Traveling Troupe was when all the elderly characters began to realize that they loved their lives in a nursing home and wouldn't wish to live anywhere else. This gave strong meaning to the acts of Chesed the Traveling Troupe does every other week providing entertainment for those in need. It was quite a week for the members of Ms. Kaplowitz's AP US Gov't and Politics class. 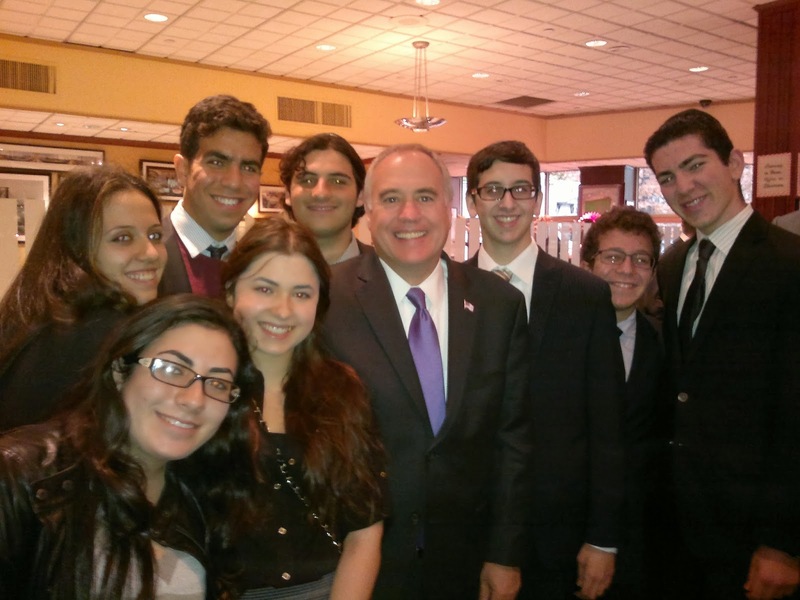 On the Friday before Election Day, they were invited (by Flatbush parent and prominent lawyer Steven Cohn) to a major political breakfast for members of the New York Democratic Party. The breakfast presented an opportunity for the students to experience the inner workings of the political processes they are studying. 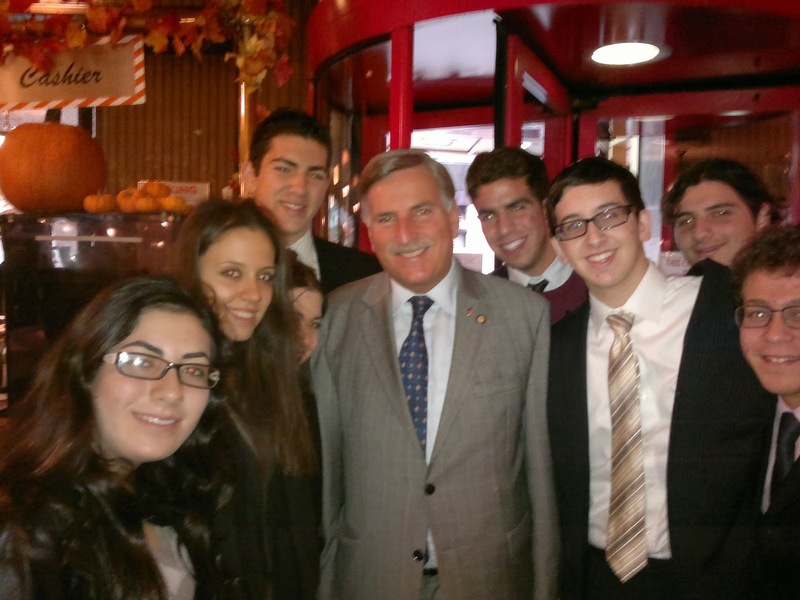 At the breakfast, the students were able to interact with leading politicians, judges, and political consultants, asking questions and engaging in conversation with politicians. 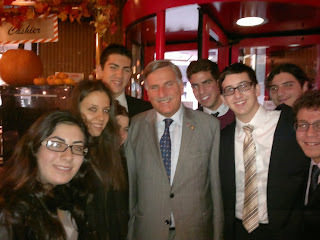 A Kosher stand at the restaurant also provided the students with the opportunity to interact with Jewish members of the Democratic Party and Jewish politicians. 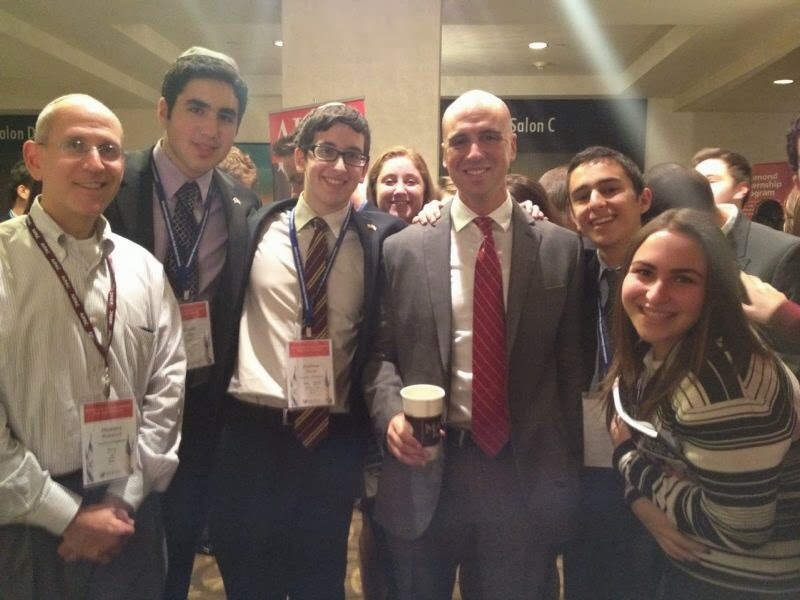 Students interested in politics seized this initiative to discuss how to become involved in politics, why politics matter, and how a Jewish identity is infused into politics. The breakfast was an exciting opportunity for all who attended. 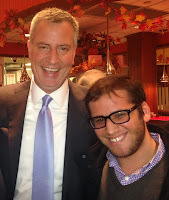 There, the students got to meet and greet elected and appointed officials like Bill De Blasio, Tom Di Napoli, Scott Stringer, David Weprin, Leticia James, and many others. Students had a chance to question officials on current and future public policy, network with judges and politicians, and secure opportunities for internships. The following Tuesday, the class wrapped up it's two month long mayoral 'mock election' with two debates in our newly renovated auditorium. Since September, the Poli Sci students have worked hard to recreate the election; researching the positions of the real candidates, registering voters, making flyers and posters, creating and giving polls, producing and showing their own TV commercials, and now finally, the two candidates squared off against each other. 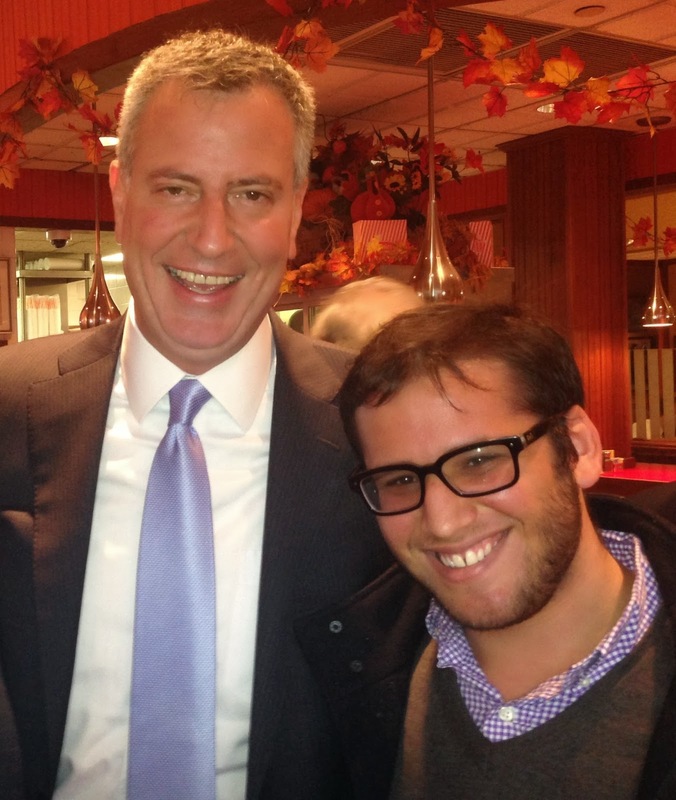 Bill De Blasio was played by Shira Cygler and Joe Lhota by Jacob Setton, but all members of the class worked hard to make this a success. The project ended with a full day of voting--giving all Flatbush students an opportunity to express their political views. The annual project was a great success; it served as an opportunity to educate the general student body on the important issues of the day, and to teach the AP Gov't class a valuable 'real-life' lesson on how politics really work. Members of the AP Gov't class, as well as Juniors and Seniors watch the debate with interest. They say that an imperfect voice is better than a perfect silence. At the American-Israel Public Affairs Committee’s annual High School Summit, over 400 high school students were trained in pro-Israel advocacy, lobbying techniques, and methods to increase student engagement. 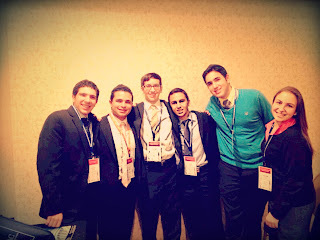 The students represented Jewish high schools, synagogue groups, and teen leadership organizations nationwide, in addition to the diverse group of AIPAC staff members who organized the conference. Attending alongside me from Flatbush were Sammy Tbeile, Rashelle Gersh, Louis Franco, and David Idy. From the first session “Why we commit” to the final open-mic session (in which Rashelle Gersh and myself both spoke), the three-day Summit provided us with the tools needed to be effective advocates for the US-Israel relationship. 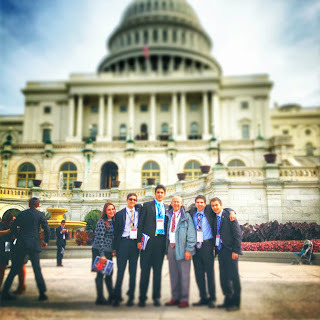 On the final day of Summit, all 400 students went to Capitol Hill to lobby a member of Congress or Congressional staffer, allowing us to put into action the skills we’d been taught. 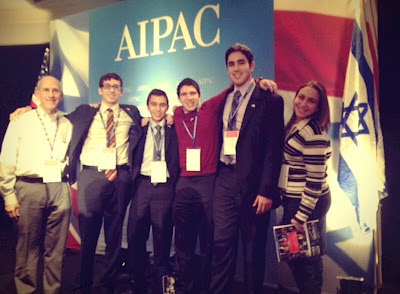 Yet perhaps more important than any actual lobbying we did was the constantly reinforced message “I need your help.” This was a message told to us by AIPAC, that we in turn are responsible to tell our fellow students. Unlike other lobbying organizations, AIPAC has only ten paid lobbyists. We as individuals and supporters of the US-Israel relationship are responsible to seize initiatives and ensure that our voice is heard within Congress, and that only through us can a strong US-Israel relationship endure. This relationship can not be taken for granted, and must be maintained by its supporters, rather than submitting to apathy. The mark of a good team is being able to work out a win when you are not at your best. By that mark, Flatbush’s JV Boys Basketball team is a good team. How good remains to be seen. The JV Falcons are a young group (the team starts three Freshmen when healthy, with another two playing key roles off the bench) and the season is in its early stages, but all signs point to a banner year for the precocious Falcons. This past week saw the JV boys play their first games in the friendly confines of the Falcons’ Nest on Avenue J, and the boys defended their home turf successfully, if not easily. Coming in of a 2-0 record on the road, the team looked to make a statement in the opener against Yeshivat Lev Bonim, a team that while not very quick carries a lot of bulk, and can balance tough physical play with deft shooting from beyond the 3-point arc. With Abie Rosow sidelined for the first two to three weeks of the season with a nagging foot injury, the pressure was on frontline players Albert Richter, Joe Gindi and Yoel Goldberg to pick up the slack, and step up big they did! The big 3 controlled the boards and dominated in the paint converting inside baskets or kicking the ball out to shooters Kevin Haddad, Louis Zarif and Jackie Mishaan. The shooters staked the team to a commanding lead at the close of the 1st quarter. Coupled with unyielding defensive pressure from backcourt mates Jake Shalom, Elliot Beyda and Haddad, the Falcons stretched the lead to 20+ points at the half. Utilizing the entire roster, Coach Borenstein’s team maintained the lead throughout while getting on-court experience for every team member. The final score of 64-40 was not indicative of how lopsided the scoring actually was. As commanding a performance as was seen opening night, the Falcon JV’s found themselves in the midst of an equally tight dogfight the next time out. In an earlier matchup with the Stars from Shaare Torah, the Falcons pressed from the opening tip and ran away with a 56-36 rout. There was no such surprise for the Stars this time. It was evident that they spent their time wisely, preparing for the vaunted Falcon Press. Though missing out on a number of open looks early on, the Falcon shooters Zarif, Beyda, Haddad, Shalom & Mishaan staked the team to an early lead. However, Flatbush’s lackluster play, along with a sense of confidence building in the Stars from breaking the press and registering a few easy baskets kept the game close. Every time it looked as if the Falcons would pull away, Shaare Torah would sink a big basket or the Falcons would commit a costly turnover. Flatbush just could not put their opponents away. However, even though the Stars closed the deficit to as little as one point down the stretch, the Falcons stepped up big when it counted, protecting the ball while killing the clock. And with Elliot Beyda drilling a huge 3-pointer coupled with Louis Zarif knocking down key free throws, the Boys from Flatbush sealed a 47-40 victory that was much closer than the final score would indicate. 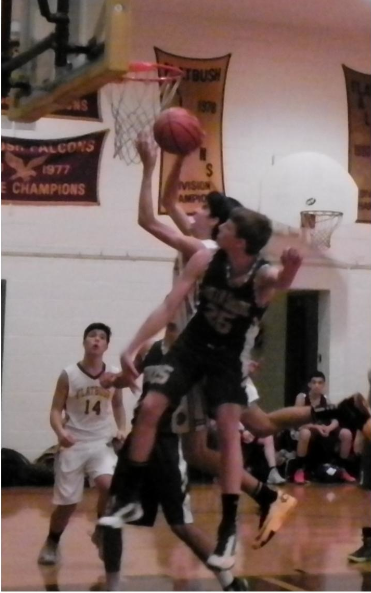 Nest Notes: In the victory over Shaare Torah, Sophomore Co-Captain Al Richter pulled down a team high 11 rebounds. The team was led in scoring by Jackie Mishaan and Louis Zarif who each finished the game with 11 points; Kevin Haddad tallied 8 points on the night. The JV Falcons will next take the court in the opening game of a doubleheader with Heschel. The second game will pit the two school’s varsity programs and will mark the home opener for the Varsity Falcons. The Heschel Heat come in having won the prestigious Magen David Pre-Season Tournament defeating Ramaz in the finals, yet were on the short end of a 20-point loss to TABC (who beat the Falcons in an early pre-season game by 12). The Varsity Falcons come in licking their wounds from a total loss at the hands of the Ramaz Rams in the Finals of the Ramaz Pre-Season Tournament. Flatbush qualified for the finals by avenging an early season loss to SAR, turning the tables on the Sting with an exciting 47-45 victory behind the team’s signature pressure defense keyed by late game heroic steals from Nathan Haddad to protect the slim lead and close out the win. COME OUT AND ROCK THE NEST ON THURSDAY!!!!! GO FALCONS!